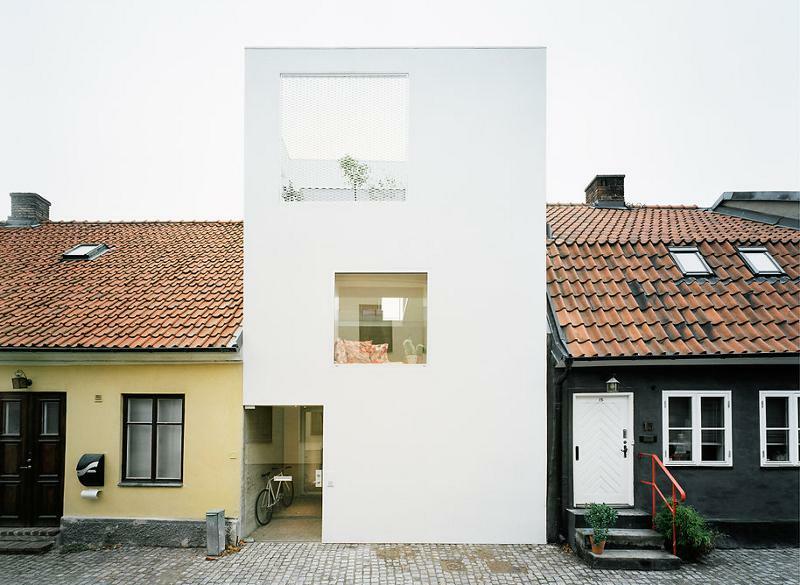 This amazing townhouse is located in Landskrona, Sveden. The narrow site is sandwiched between very old neighboring buildings. Three thin slabs are projected into the open volume, softly dividing its functions. The continuous interior space is opening up to the street, to an intimate garden, and to the sky. 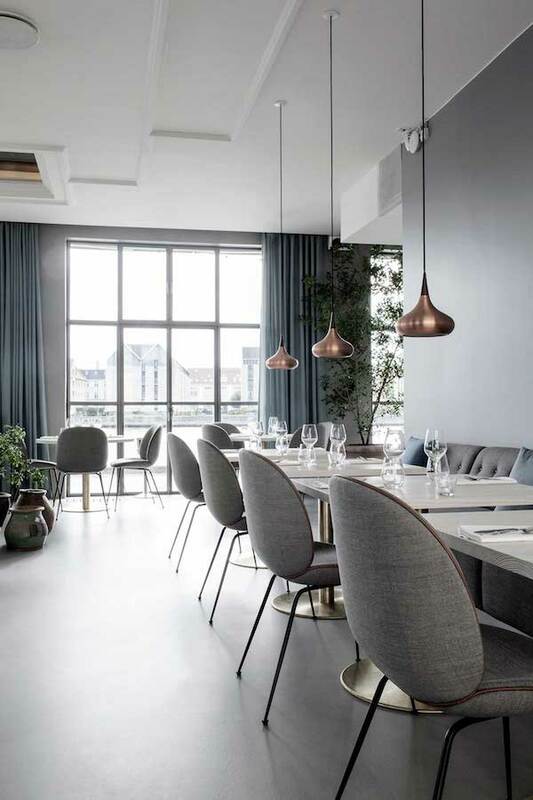 Clever urban infill design by Swedish architectural firm Elding Oscarson . 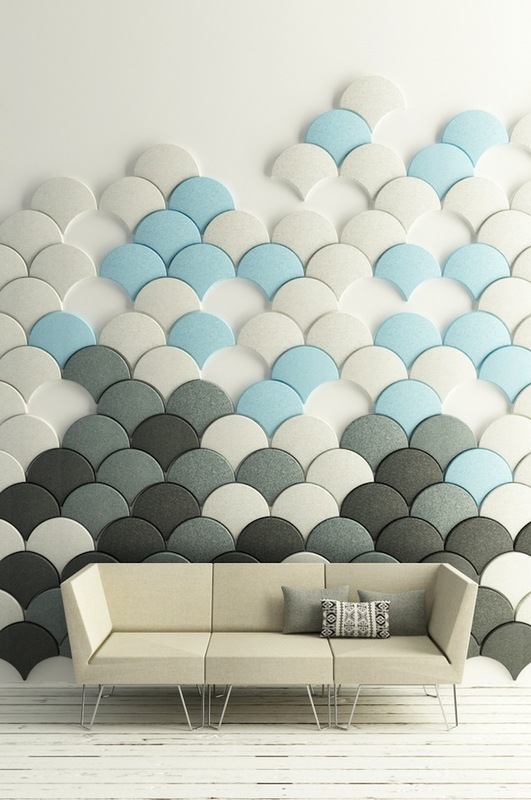 The Ginko panels is an artful sound-absorbing system comprised of distinctively shaped individual panels made from hot-pressed 100% polyester felt.